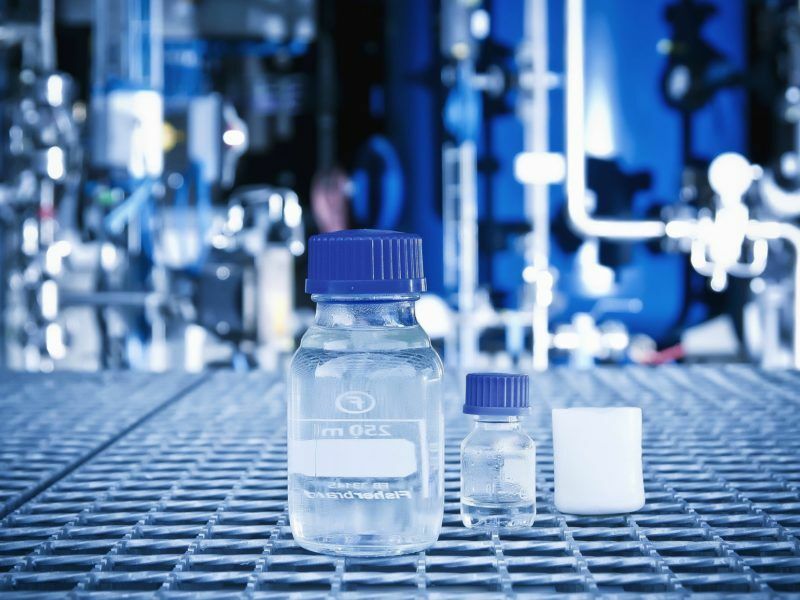 Audi, the German car manufacturer, is pitching ‘e-fuels’ as a clean alternative to produce petrol, diesel or gas, without having to extract fossil fuels. Sounds splendid but unfortunately too good to be true, warns Jonas Helseth. Jonas Helseth is director of the EU office of the environmental NGO Bellona, which promotes decarbonisation strategies for society. Holidays are over for most of us in Brussels, a period traditionally marked by news stories of little consequence; more space left for commercials in the newspapers, perhaps. German policy makers in particular cannot have failed to note the relentless flood of Audi ‘g-tron’ ads filling every screen, football stadium, roadside billboard and indeed the first double page of Der Spiegel’s Christmas edition. “Tank up on tailwind – 80 % less CO2-emissions with Audi e-gas also from wind energy,” reads the aforementioned ad. Sounds splendid, and it fits perfectly in the wider synthetic fuel or ‘e-fuels’ strategy of Audi, which we can read about in their media center. We are told about “petroleum-independent fuels that bind as much CO2 during their production as is emitted when they are combusted. The result is a closed CO2 cycle”. 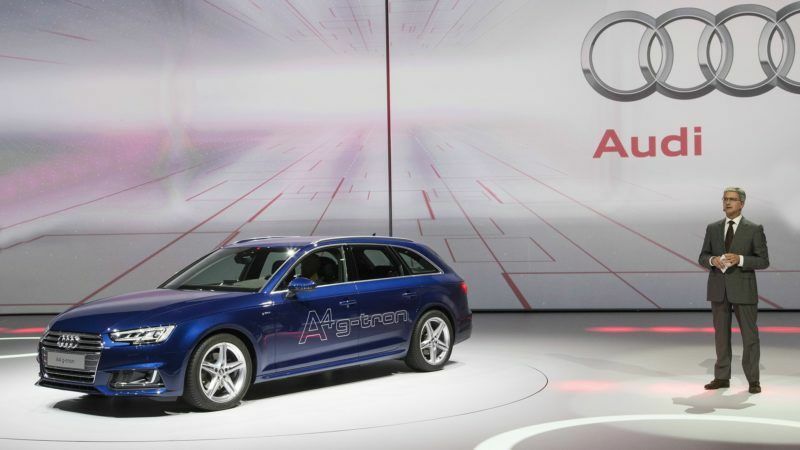 The ‘circular economy’, in other words, has reached Audi’s internal combustion engines. Just before year’s end, Germans watching ARD’s Tagesschau, the longest established news show in the country, heard how ‘e-fuels’ are a ‘real alternative to electromobility’. Professor of energy storage and systems at OTH Regensburg, Michael Sterner, educates the viewers on how ‘e-fuels’ are made up of electricity, water and CO2, using electrolysis technology to produce petrol, diesel or gas, without having to extract fossil fuels for the purpose. The process is called Power-to-Liquid/Power-to-Gas. When the Tagesschau-reporter asks the pertinent question of how driving on such fuels can actually be CO2-neutral, Professor Sterner insists that the CO2 used for synthetic fuels will be captured from air (or biogenic sources), hence creating a closed CO2 cycle. That same assumption provides the basis for Audi’s 80 % CO2 cut claim. However, if it’s up to the European Commission and the European Parliament’s Industry, Research and Energy Committee (ITRE), the chance of such CO2 coming from air capture (or sustainable biogenic sources) is nihil. In July, I explained in EURACTIV how the Commission’s proposal for a new EU Renewable Energy Directive fell below any standards for sound policy making in this respect, entirely failing to provide any impact assessment or consult the public before introducing so-called ‘Renewable Fuels of Non-Biological Origin’ (‘ReFuNoBiOs’) into EU fuel mixing targets for renewable fuels, i.e. allowing them to count as decarbonised and renewable. Those ‘ReFuNoBiOs’ are indeed what Audi has dubbed ‘e-fuels’ with a view to present them as an alternative electrification strategy for transport. Critically, there was no requirement from the Commission that the CO2 should be sourced from air or biogenic sources, which could ensure the closed carbon cycle described by professor Sterner. Given that capture of CO2 from fossil-based industries is up to 100 times(!) cheaper than air capture, the proposed legislation will ensure that CO2 used for Power-to-X will always be fossil. The International Council on Clean Transportation (ICCT), which was instrumental in exposing the dieselgate emission cheating scandal, published a study late last year showing the vast inefficiencies and costs of synthetic fuels production. Germany’s Süddeutsche Zeitung picked this up in a recent article on 3 January: not only the direct subsidies for the synthetic fuel production must be taken into account, but also billions of euros of additional investments in electricity production, adding to already increasing power bills for consumers. Indeed, it would seem counterintuitive that cash-strapped EU governments should consider throwing any taxpayers’ money at this. But such apparent logic ignores the underlying reasons for the attractiveness of synthetic fossil fuels subsidies, both for industry and certain EU governments. EU energy-intensive industries face growing CO2 liabilities under the EU ETS with investor uncertainties as a result. Given the lack of a framework that enables those industries to truly decarbonise, such uncertainties risk undermining EU competitiveness instead of driving the transition we urgently need. Meanwhile many EU car producers, perhaps most notably those in Germany, have, until recently, pulled off staggering cheats on both air pollutants and CO2 and are only now starting to face real-life testing. Electromobility is an obvious way forward, but due to long EU inaction in face of said cheats, European carmakers lag far behind their overseas competitors and now hope to buy time. Subsidising the capture of industrial CO2 would effectively remove the CO2 liability from exposed industries, and using that CO2 for producing synthetic fuels while discounting its fossil origin would enable car makers to merchandise such fuels as ‘low-carbon’. Effectively, fossil CO2 would be moved out of the ETS at large scale, and emitted in a non-ETS sector (transport). The latter sector would claim the fuels to be ‘circular’, ‘renewable’ and ‘low-carbon’ while in reality, they would provide a direct disincentive for climate action in both EU ETS-exposed industry and transport. The most perverse, yet quite realistic scenario would look something like this: an ageing RWE coal-fired power plant would be paid by synthetic fuel producers for capturing their CO2, removing any ‘polluter pays’ liability and in fact creating an economic incentive for producing it(! ); the CO2 is then framed as ‘circular’ and used to produce ‘e-fuels’ for Audi, so that the latter would have to do exactly nothing to improve its engines. Sounds improbable? At the so-called German 2017 ‘Diesel-Summit’, Transport Minister Dobrindt suggested “it is still possible that carbon-neutral synthetic fuels could be as good as battery technology”, apparently without feeling any need to qualify such a statement. This is despite the enormous electricity demand such fuels would entail – at least six times that of direct electrification, all the while having zero impact on actual transport sector CO2 emissions. The European Automobile Manufacturers Association (ACEA) seemed to back this statement when it stated in 2017 that “a ‘second spring’ for combustion engine vehicles is certainly possible”. Back in September the European Parliament’s Environment (ENVI) Committee voted a requirement for the CO2 in synthetic fuels (ReFuNoBiOs) from air capture to be eligible to count toward renewable and decarbonisation targets. This was a positive statement of intent but unfortunately it was not replicated either in the ITRE Committee or in the Council’s General Approach. With the Parliament’s plenary vote on the new EU Renewable Energy Directive scheduled for next week however, there’s once again an opportunity to ensure that carbon feedstock criteria are applied before a fuel can be deemed ‘renewable’. This makes sense, but if millions of European taxpayers’ money do end up being wasted on subsidies for synthetic fossil fuels then industry can hardly be to blame. The Commission put out this rotten carrot and fed it ‘magical realism’. The EP and Council must now correct that error. Should the EP and Council get this wrong, the ‘g-tron’ precedence could even lead to fossil CO2-based gas burned in homes and power plants being designated as ‘CO2-neutral’ in the future. The decision is now up to EU lawmakers’ conscience. The article for significant sections talks nonsense. I say this as somebody that has generated business cases for power to gas systems, what they do and the feedstocks they need. There is no reason why SNG for the Audi g-tron could not use CO2 from, for example distilleries (= a carbon neutral source). Taking one example, Scotland emits around 0.5 million tonnes of Co2 from distilleries – which could be used for P2G purposes (the same location is noticeably windy – I’ll leave readers to join up the dots). 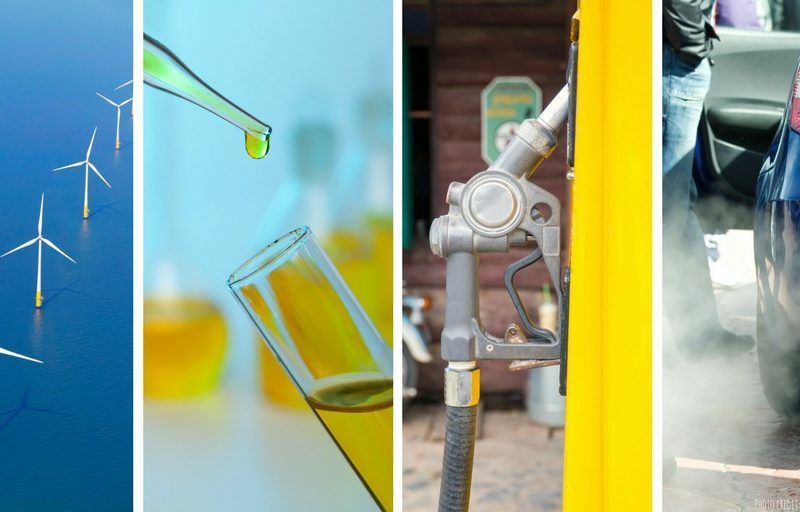 On a related note, whilst the UK is something of a laughing stock in the EU, it at least has a fit-for-purpose policy for supporting renewable fuels (Renewable Fuels Transport Obligation – RTFO). The UK is far too insular – but it would seem that the same could be said for policy making in Brussels (= failing to look at what MS are already doing – apart from Germany). I’d add that the RTFO also includes a whole range of provisions with respect to “renewable fuels” and how they qualify for subsidies (which they need). These provisions include the source of CO2 (must be renewable) and the source of energy (zero carbon). These realities, however, do not seem to have impacted on Mr Helseth or indeed policy makers in the EC. Could it be that, in this case, the UK is hiding its regulatory/policy light under a bushel? I doubt it – probably the people in the UK could not be bothered to the EC and the EC/Helseth were too lazy to look around. Our own work on P2G indicates that SNG (synthetic natural gas) is perhaps best used to de-carb the trucking sector – which will not easily convert to electricity, regardless of the hopes/wishes of Tesla. That said, good luck to Audi – more CNG cars are to be welcomed since they resolve the PM problem and go some way to sorting out NOX. Perhaps Mr Helseth expects a “quantum leap” in transport – one bound and we are free of Co2 emissions etc. Sadly, physics and the world does not work that way – we need to reduce emissions (and pollution) fast – CNG sits on that pathway. I’ll finish with the observation that our business case for SNG lacks “speculation” (which Mr Helseth’s piece contained – in abundance) and focuses on costs, tech development and likely pathways to large-scale deployment of SNG. Or to put it another way: out work is reality based. Hello, I would not disagree regarding the science-base approach that you claim. Indeed, I am surprised because not Transport and Environment with tens of people staff, or the European Environmental Bureau for that same reasons, are not reacting. However, I still not understand something well. If we are to change economic paradigm and pass to a low-carbon future, in my book we should actually stop with the fossil-based economy. The arguments that you bring forward seem to advocate on ‘fixing’ to a certain extend the fossil economy. This ‘certain extend’ though has been proven tricky, and in the past it has been misused by the car industry. Again I believe that especially for the transport industry the relation between greenhouse gases and pollution is not considered enough. Especially regarding cities the connection with health, i.e. NOx is crucial. Again, and I believe we can agree on that, the urgent issue regarding climate change is CO2, but why not catch two birds with one stone (without hitting directly at the head the transport industry)? Then again there is no threat to the climate from CO2. There is effectively no such thing as a “greenhouse gas” the way they are being thought of by the alarmists. All of this will become clear at the Gothenburg Climate Conference next month. Wellcome to attend!